The Paso Robles AVA on the Central Coast of California is diverse in its microclimates, and many areas are ideal locations for growing Bordeaux varieties. Warm days and cool nights provide a perfect balance for flavor and color development in the grapes. 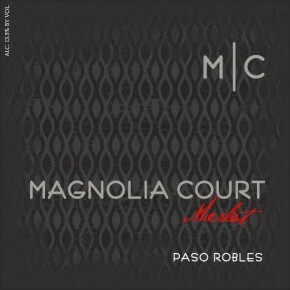 This Merlot, grown in the warmer eastern area of Paso Robles, has tobacco, cassis, plum, and earthy aromas with good structure, firm tannins, and a lingering finish. It will pair beautifully with baked pasta dishes such as lasagna or spaghetti and meatballs, burgers and steaks or braised short-ribs. Destemmed, crushed, and sent directly into fermentation tanks, the resulting must was pumped over with several delestages during 7 to 10 days fermentations on skins. The wines were pressed, racked, underwent malolactic fermentation. Aged for 16 months on American Oak.